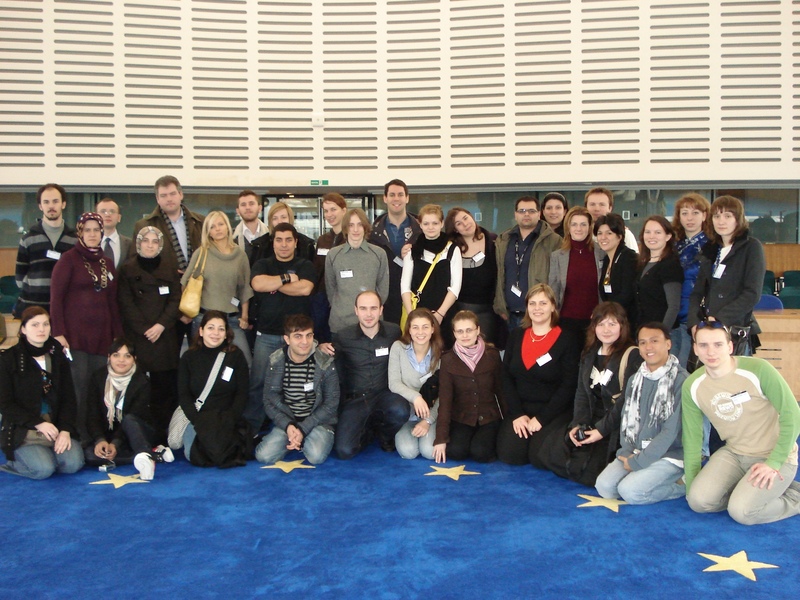 In the first week of spring 2009, 35 young people gathered in the European Youth Centre in Strasbourg to explore the links between economic justice and human rights. The aim of the study session was to promote social cohesion among young people through developing a concept of Human Rights which takes the perspective of Economic Justice into consideration, and thereby raising their awareness and promote action based on linking youth participation, social inclusion and Economic Justice. Coming from 16 European Countries and the Philippines, and with different religious backgrounds (Christian as well as Muslim), participants represented a wide range of traditions and conceptions. Through non formal and formal learning methodologies, participants got into depth with the inter-cultural learning process and the themes of the training. Sharing experience and information at an ‘NGO fair’ by informal walk-and-talk discussions, followed up by a video interview about human rights conditions in Italy and a presentation of the economic injustice and violations of human rights which takes place in the Philippines, widened the perspectives and opened up for new impressions and views. A world trade simulation, where participants were put in the role of different players (countries) at the world market, provided some insight into some of the mechanisms behind the economic injustice in the world. Prof. jur. Ineta Ziemele, who is a judge at the European Court of Human Rights in Strasbourg sharpened the debate on Human Rights by presenting various conceptions of them and asking participants to think about their own understanding of the concept of HR, and if it is universal and comparable with the conception of others. 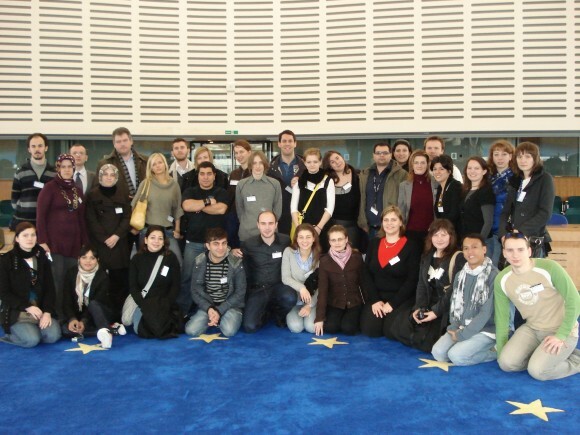 A visit to the European Court of Human Rights allowed participants to see the procedures of the court and to talk to a member of the registry at the Court, where applications are treated. Through guided project development, participants worked in groups to find appropriate projects to implement in order to promote Human Rights and Economic Justice in their own home contexts. Ms. Maria Koutatzi introduced ways of advocacy for everyone to use when promoting their cause. Participants formed new friendships and links across borders and committed themselves to work together on the projects developed. EYCE thanks everyone who participated and supported at this study session. The study session was done with the support of the Directorate of Youth and Sport of the Council of Europe.